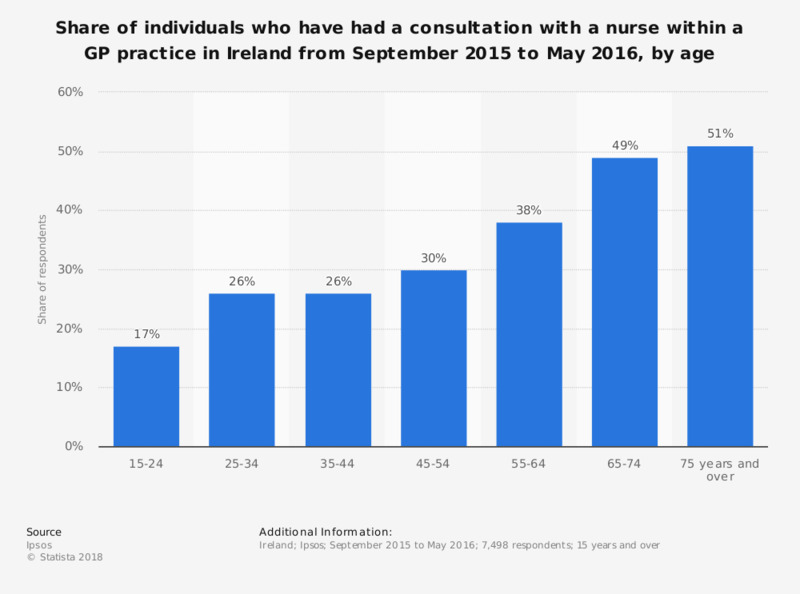 This statistic displays the share of individuals who have had a consultation with a nurse within a GP practice in Ireland from September 2015 to May 2016. Of respondents, 51 percent of people 75 years of age and over had a consultation with a nurse within a GP's practice in the preceeding 12 months. Which of the following, do you think, is the reason why fewer medical students are choosing to specialise in the general practice than used to? At the current time, do you expect to retire or leave General Practice in the UK before you become 60 years old?